This moon will appear for roughly 12 hours and will be about 14 percent larger and 30 percent brighter than the average full moon. 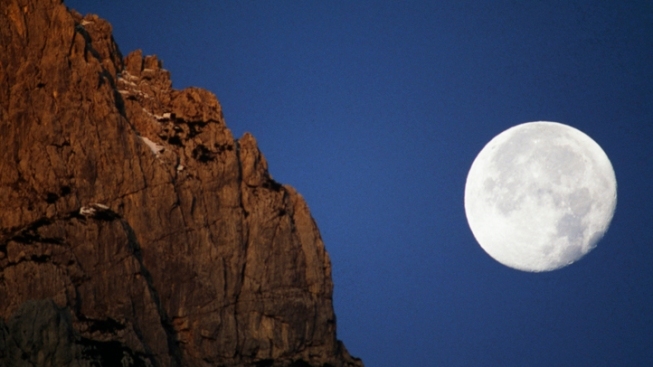 A moon of similar size and fullness isn’t expected to appear again until 2014. Up in the sky this Sunday morning, there will be birds, planes and the "supermoon." A lunar event that occurs when the moon is at its closest point to the Earth, this weekend's "supermoon" will also occur during a full moon. That means the celestial body will appear much larger and brighter than usual. At 7:32 a.m. EDT Sunday, the moon will be at its closest point to Earth for the month, approximately 221,824 miles away. It's still entirely too far for Ralph Kramden, star of iconic TV show "The Honeymooners" to send his wife to, but more than close enough to enjoy some fantastic visuals. The occurrence, referred to by astronomers as the "perigee full moon” or the “supermoon" by casual observers, will last for roughly 12 hours. During that time, the moon will appear about 14 percent larger and 30 percent brighter than the average full moon, Live Science reported. Typical supermoons aren't anything to howl about. They often happen once, sometimes twice a month. But with the moon full for this weekend's occasion, a similar size and fullness isn’t expected to occur until August 10, 2014. If weather doesn't permit you from seeing the supermoon for yourself, Space.com will host a livestream. The Desert Southwest and lower Ohio Valley, as well as southern New England are expected to be the best places to view the lunar event, while rain is expected in the Upper Midwest and Northwest will create few opportunities to see the moon, AccuWeather.com reported. The rest of the country should experience enough periods of clear skies to sneak a peek.